The South Korean novelist attended the black-tie prize dinner at the Conrad Hotel in Hong Kong to receive the award of $30,000. The translator of the novel, Chi-Young Kim, received $5,000. 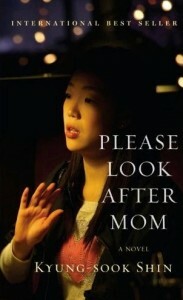 The win is the first for a South Korean writer, and “Please Look After Mom” is the first novel by a South Korean to make it to the Man Asian Literary Prize shortlist in the prize’s five-year history. “Please Look After Mom” is a story of a family’s search for their mother, who goes missing one afternoon amid the crowds of the Seoul Station subway. It offers the reader an insight into traditional family life in contemporary South Korea and has already sold 1.93 million copies in South Korea alone – a country with a population of just under 50 million. The novel is now set to be published in 32 countries. In 2011, 90 books were submitted for the prize, with a longlist of 12 being announced in October and an unprecedented shortlist of seven revealed in January. 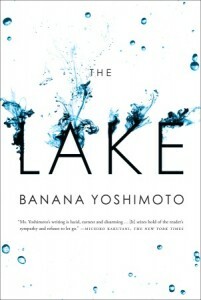 Four of the shortlisted novels were originally written in English; the novels from South Korea, China and Japan were judged in translation. The 2011 judges were Razia Iqbal (chair), BBC special correspondent; Chang-rae Lee, Pulitzer Prize finalist and author of “The Surrendered”; and Vikas Swarup, author of “Q&A,” the novel on which the movie “Slumdog Millionaire” was based. Nominations for the 2012 prize will open at the end of May to publishers of novels by Asian writers from 35 countries. Founded in 2007, the annual literary award given to the best novel by an Asian writer, either written in English or translated into English, and published in the previous calendar year. Man, an alternative investment management business, also sponsors the Man Booker Prize, the Man Booker International Prize, and the Lost Man Booker Prize.